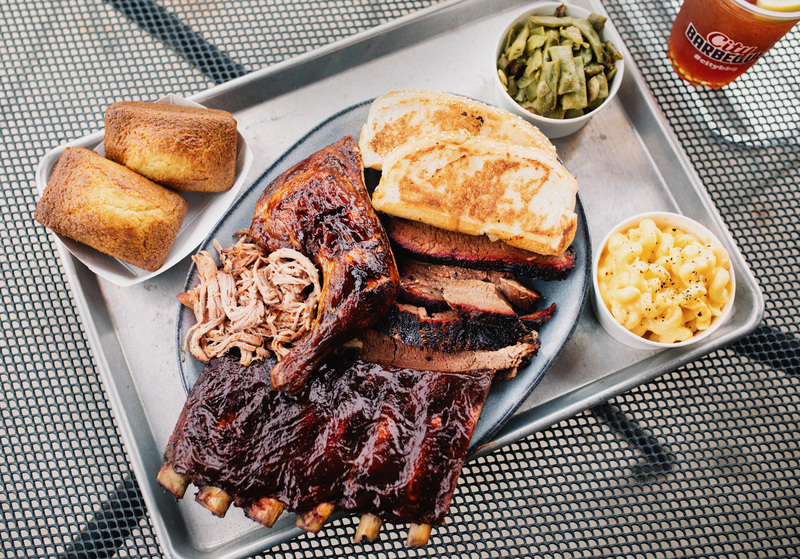 Competition barbecue is all about taste, texture and presentation. 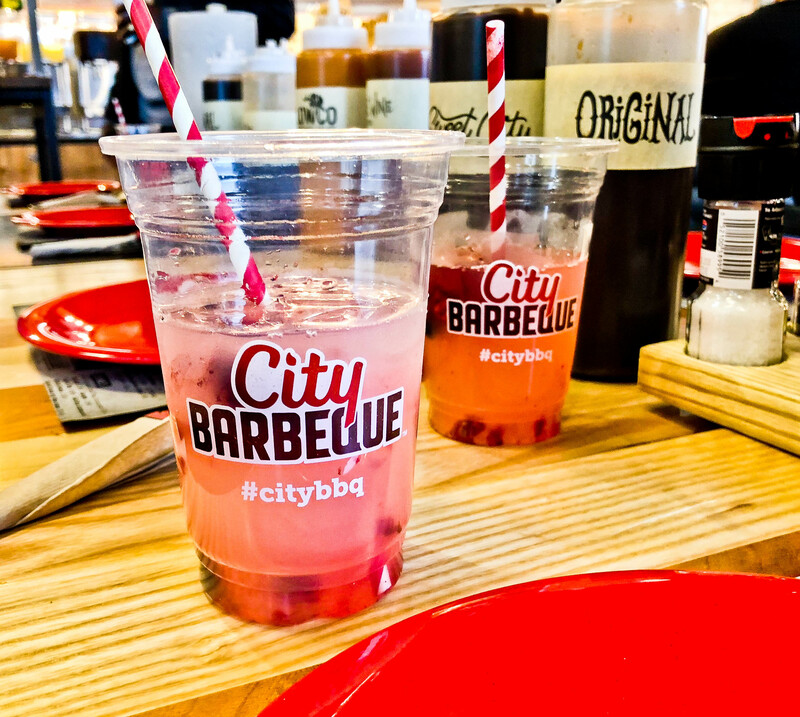 The founders of City Barbecue didn’t just enter competitions, they’d win them often. 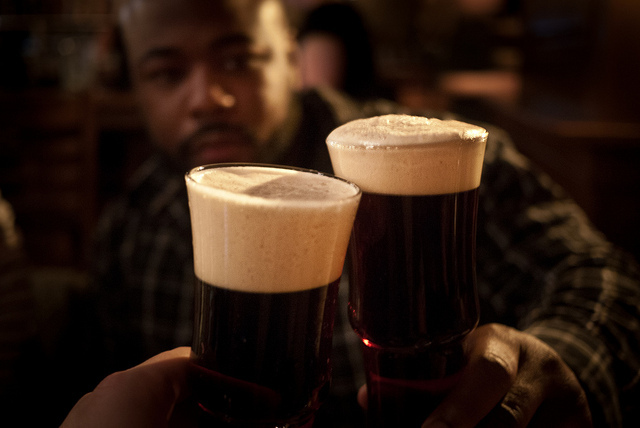 By year’s end this crew will have six Chicagoland locations. These guys were not some a big corporation in Spring of ’99 when they opened, just three guys with a passion. Back in Columbus, OH they would cater big orders for Ohio State tailgating parties. When plans for the first restaurant were scrapped due to flooding from broken water lines, it almost put them out of business. Staying true to the vision, they converted their two-car garage into a kitchen to fulfill orders until the restaurant was constructed. 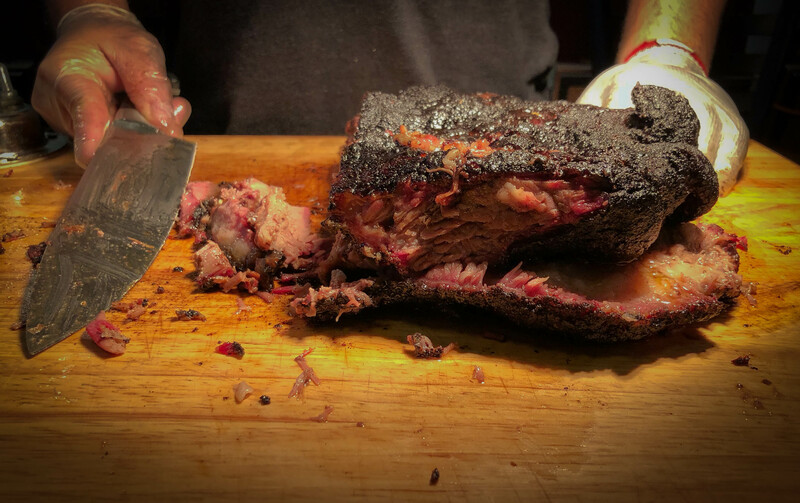 Brisket takes 15-20hrs to cook, we’re talking cooking overnight at that point. It requires sleeping on the couch, alarm clock every thirty minutes to check on the competition smoker in the driveway. Catering groups of 400 people from that space is what created an attitude that the company believes in today. When you make everything from scratch (chicken stock, whipped cream.. everything) it sets a tone that installs pride, and pride grows. 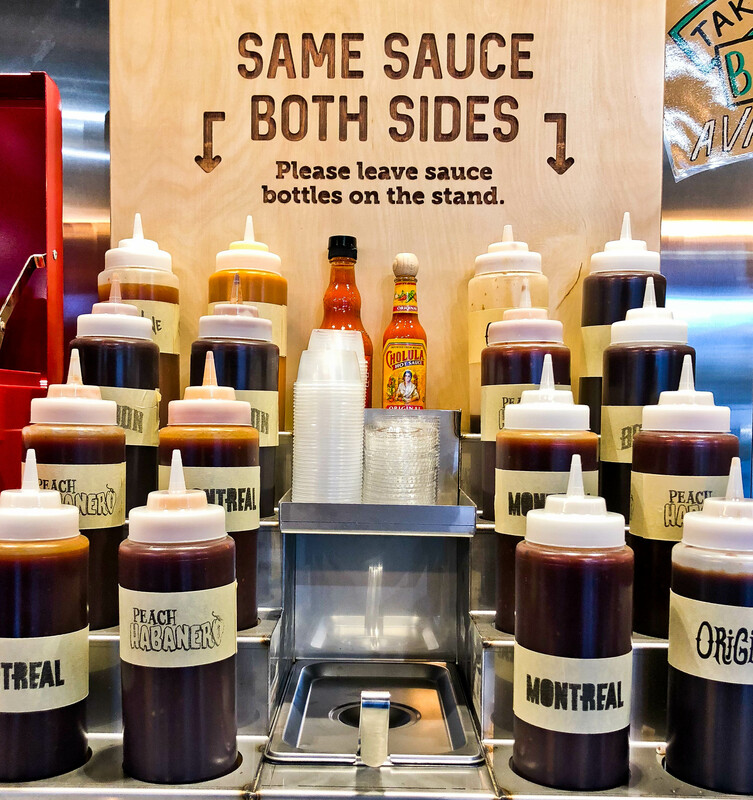 The company figured out early on that they don’t serve barbecue, they serve people. Here meat comes off the smoker and there is no reheating. Everything is always fresh and not sliced until you order it. 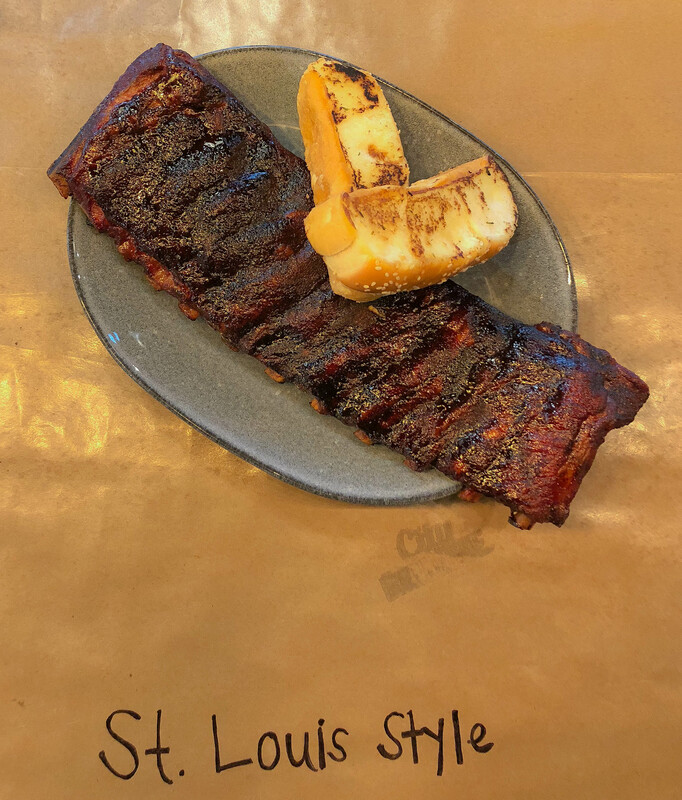 Their menu is inspired by regional favourites from Southeast (pulled pork), Memphis + KC (ribs) and sausage smokehouses in Texas that began as markets. 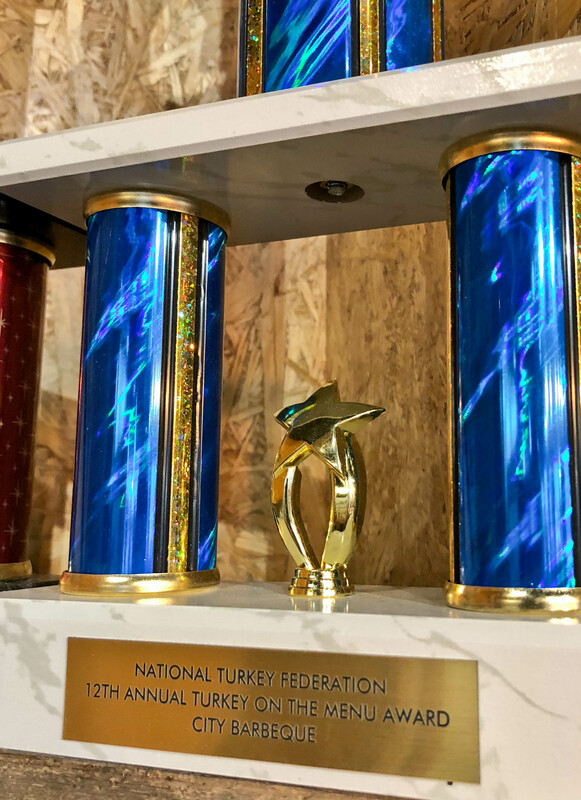 The turkey arrives from Cooper Farms in Ohio. 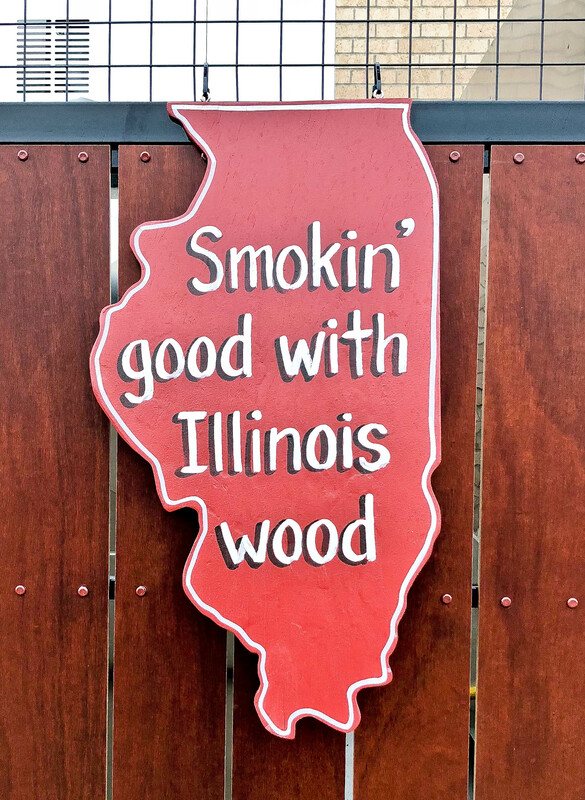 It’s free range, antibiotic free with no hormones and smoked with hickory. There’s a mustard rub that goes on and they’re cooked five times a day. 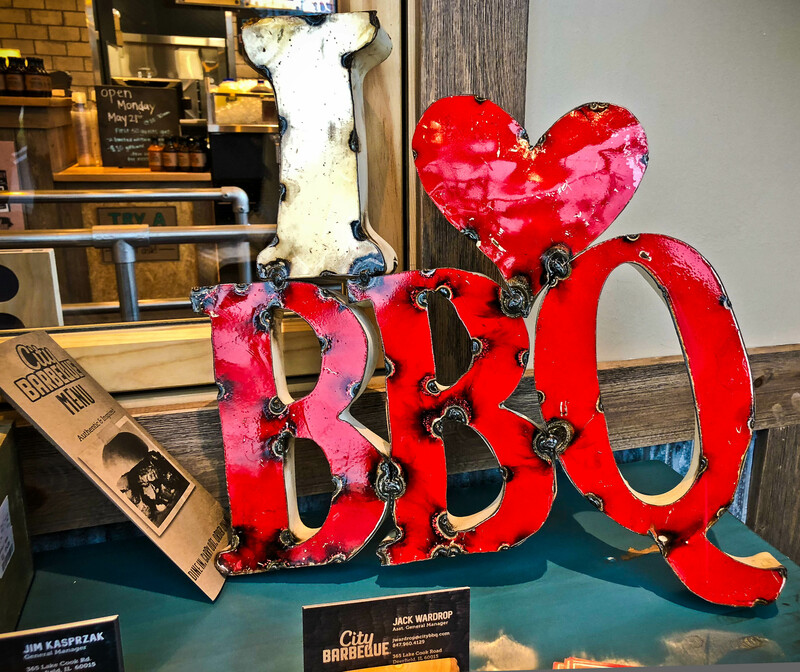 City Barbecue Deerfield’s joint partner for opening day will be the Deerfield Historical Society. When you mention the organization while ordering 25% of the sale will be donated. Honestly, I love this place. 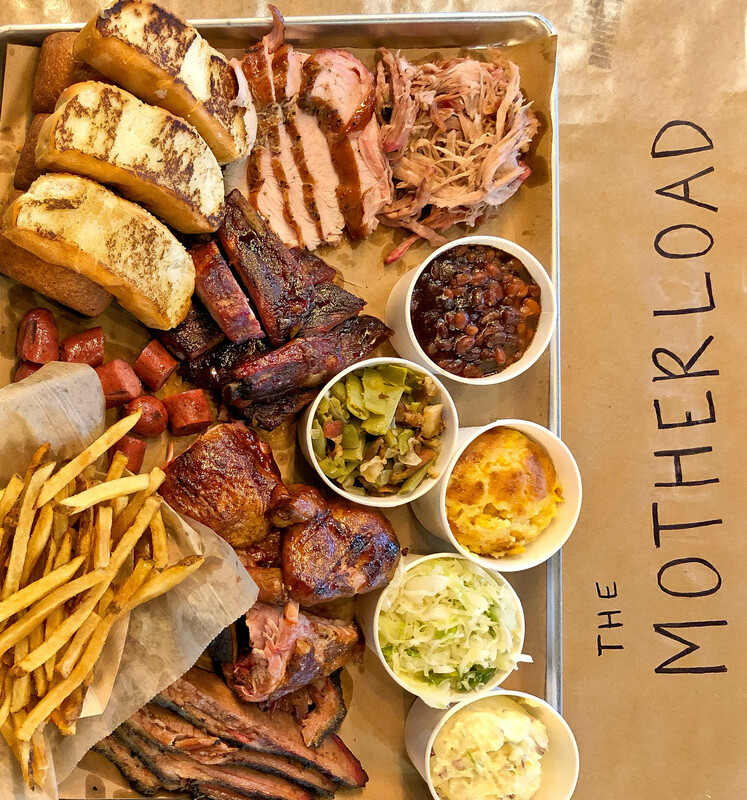 You judge a classic bbq joint by the passion of the meats matching the effort put into the sides. These cats are masterful and have an exceptional product, it’s worth a visit. For the sneak peek there was a fresh juice stand serving mixed berry lemonade from a most excellent dimpled copper pitcher. -On Saturday May 26th from 10:30am – 10:30p Grand Opening Festivities include giveaways, games, prizes, live music, family fun and more. Deerfield Police Dept. will participate in a rib-eating contest. -10% of Opening Day sales will be donated to the Deerfield Youth Baseball and Softball Association. 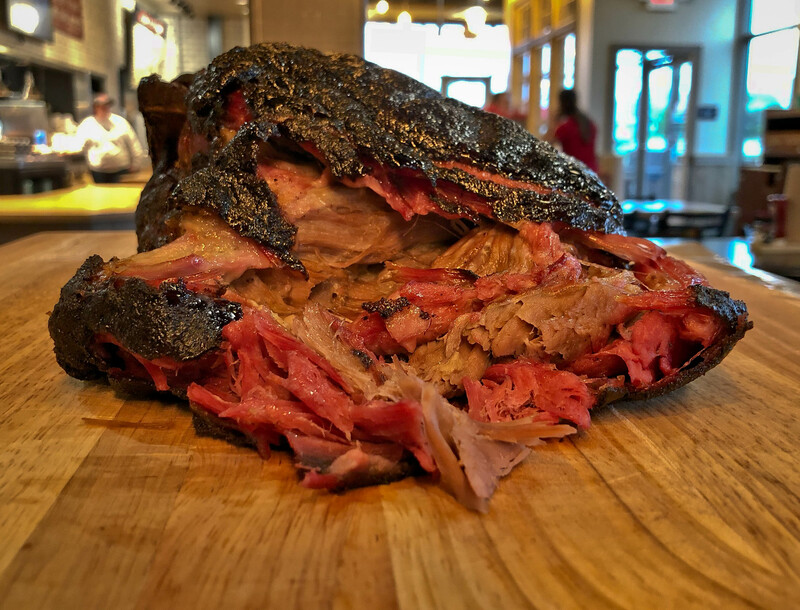 -Orland Park, Berwyn are the other Chicagoland locations Downers Grove, Park Ridge and Vernon Hills will open by the end of the year. -Walking through the kitchen we were shown a freezer with no product, everything is always fresh. At the end of every night food is packed, frozen and donated to Food Rescue who serves the less fortunate. 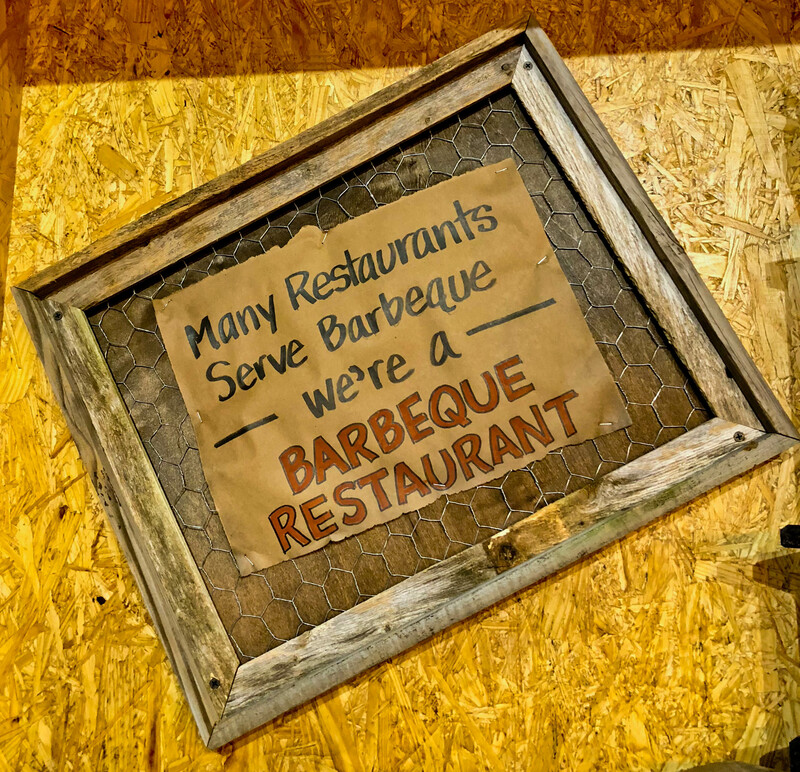 -City Barbecue is location at 365 Lake Cook Road in Deerfield.